Sometimes getting around the Amelia Island area once you arrive at your perfect beach vacation rental can be tough. Renting a car can be a hassle, using cabs or ridesharing can be expensive or unavailable, and you may not want to walk everywhere. This can limit what you are able to see, and when visiting Amelia Island, you definitely won’t want to miss a thing. The good news is, you’re in luck. There are two fantastic ways to navigate Amelia Island that are built right into the community’s system. This way you can do all of your sightseeing without the worry, hassle, or high costs of other travel options. Plus, these two great options open you up to lots of history about the island as you navigate your way through the streets and the culture. Not only are the Amelia Island Carriages an effective way to travel around the island, they are also super unique and tons of fun. You’ll experience a wonderful, romantic, and old-timey feeling while you’re being pulled around Amelia Island by a horse-drawn carriage. Many say they feel as if they have been transported back in time during the fabulous trip around the seaport town looking at all the old and historic homes. The carriages will pick you up and drop you off at just about any historic location in the downtown area. This includes spots like The Addison House, Elizabeth Pointe Lodge, and the Ritz-Carlton. Standard tours take you through the historical district of Fernandina Beach as you learn about the local history, as well as ghost and pirate stories. 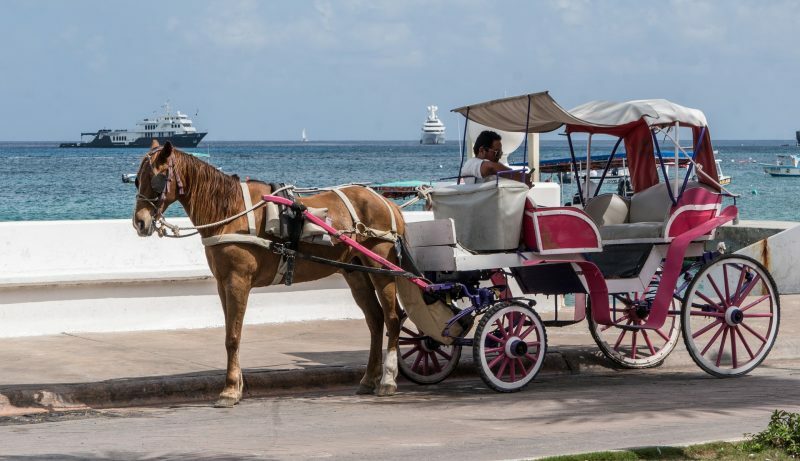 Horses pull the carriages around the island in the summer starting at 6 p.m. and in cooler months starting at 2 p.m. It’s very important for the horses to be comfortable in the temperatures, so customers are encouraged to call for daily hours depending on the weather. Prices for the standard tours are $15 for adults and $7 for children 5 to 14-years-old. The trolley system is another fantastic way to navigate around Amelia Island, while also getting your dose of historical facts along the way. 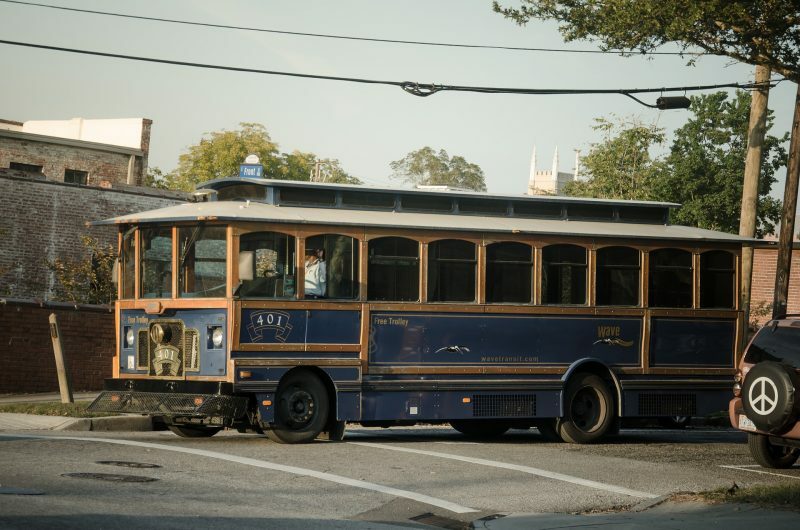 The Amelia Island Trolleys will take you on daily historical tours of downtown Fernandina Beach. The historic tour will transport you back to simpler days as you see what downtown Fernandina Beach was like in Old Florida times. Tour highlights include The Palace Saloon, which is the oldest continuously operating bar in Florida, as well as Fort Clinch, one of the most well-preserved 19th century forts in the country. Plus, you’ll get to see the Amelia Island Lighthouse—one of the area’s most historic landmarks and have the chance to explore several of the community’s historical and beautiful churches. The tours last for just about an hour and 15 minutes. Tickets are $20 for adults and $10 for children. You can buy the tickets right from the driver or in advance. The trolleys run Monday to Saturday 11:30 a.m. to 1 p.m. and Sundays until 3 p.m.
Additionally, you can book the trolleys for special events like weddings. Or choose a private tour of the island, one of the spooky ghost tours for your group, or if you’re visiting during the holiday season, the trolley offers a Christmas light tour as well. Be sure to check out our Amelia Island beach rentals. We’d be happy to help with any questions you may have!